“As a child I had pretty bad teeth. I can remember eating sandwiches and never being able to bite through the lettuce. I was so impressed when I met my orthodontist. She was a coach, an artist, a businesswoman, and a skilled dental professional. Her team was upbeat and positive and the results for my smile were amazing. It took me over 10 years of schooling to realize my goal of becoming an orthodontist. Thousands of patients and years later I am still passionate about what we do. Sometimes my team at Rindge Orthodontic Specialists chuckles when I start explaining to a patient how teeth move. They see my eyes light up and know that at the end of the day I am still a tooth nerd. Dr. Miller attended dental school at the University of North Carolina where he was involved with numerous community service and dental research projects. He completed a residency at Saint Louis University, graduating with a M.S. degree and specialty certificate in Orthodontics. 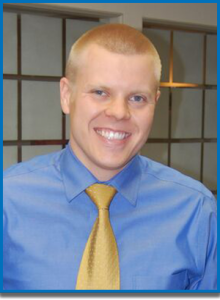 Dr. Miller is a member of the American Association of Orthodontists and the American Dental Association. 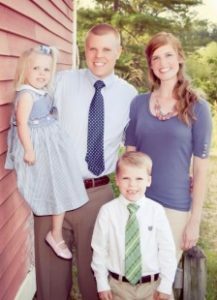 He is married with two children and his hobbies include spending time with his family, playing the piano, skiing, golfing, and watching UNC and BYU athletics.